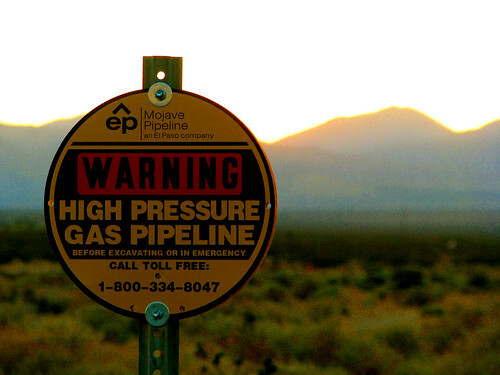 Since 2003, California-based energy company Pacific Gas & Electric has spiked pressure on gas pipelines nearly a dozen times, reports the San Francisco Chronicle. PG&E claims the practice is for testing purposes only, but safety experts worry that in the case of September’s San Bruno pipeline explosion, the scheduled spikes may have weakened the transmission lines, making such an accident more likely. If this is the case, they say, the other 10 pipelines that experienced surges in the past 8 years could be vulnerable to similar pipeline explosions. “It’s so backward in its thinking – you wouldn’t think anybody would be that reckless,” said Washington-based pipeline safety expert Richard Kuprewicz. “The overall intent of the (federal inspection) program was, you are not supposed to look for loopholes.” In the months since the explosion, PG&E has also been accused of ignoring safety standards, faulty record keeping, and concealing relevant information. Most recently, state and federal regulators have increased their scrutiny of PG&E. Last week, for example, the National Transportation Safety Board gave the agency seven important suggestions to improve pipeline safety, including eliminating PG&E’s “record-keeping problems” that have led to “potentially unsafe” pressure settings. And in the coming weeks, the California Public Utilities Commission is expected to demand more evidence on pipeline safety from PG&E, a move that could impact energy supply and cost the agency millions.